Technology. Whether you love or hate it, embrace it or simply tolerate it, we can all agree that technology has profoundly impacted our culture and society in ways never thought possible. Beyond the social impact in recent years, technology continues to expand into nearly ever area of our lives. Today, there are literally over a million applications available to install on your smartphone. Surely there is one that can help with whatever you’re looking for. From health to entertainment and from finances to spirituality, technology is impacting your life and mine each day. These changes aren’t isolated to a specific geographical location, but truly are on a global scale. In the midst of these changes, we should consider how technology can help advance the work of the local Bible school and ministerial training centers throughout Latin America. In this brief article, I’d like to propose at least two areas being impacted by technology. The first area is more obvious in regard to its benefits and application, while the second is subtle, yet as equally powerful. I want to encourage each teacher, missionary, school and educational worker to consider these changes within their current context and to give adequate attention to both. The first way technology can help advance the work of the Bible school is by helping us do what we are currently doing but in a more effective manner. For example, there are digital systems available to us today that make the storing, retrieving and collection of data much more secure, efficient and cost-effective. Student records, financial data and school communications can all be maintained through the use of technology. From database programs like Access and FileMaker to traditional word processing and spreadsheet programs like Word and Excel, all of our records can be managed like never before. Many solutions are even “open-source” which means it is freely available to use. Let’s not just limit technology to the Bible school office. Technology can be effectively used in other key areas of the Bible school ministry. Let’s consider a few: library management, networked photocopiers and printers, online learning systems like Moodle, social media outlets like Facebook and Twitter to better connect students and teachers, web site tools like WordPress to give your school an online presence, video and other media tools, mobile applications, wifi hotspots on campus, keyless entry systems and video surveillance for security purposes. The list could go on. I believe it is safe to conclude that whatever you are currently doing at your Bible school or ministry training center, there is a good chance there is a technological tool that can help you do it more effectively, and many times for less money. Even if you aren’t technologically savvy, by connecting with those who are more familiar with its potential, you can help your school make good use of these tools in a way that enables you to focus more attention and resources where it matters most, our students. Each of these topics could be developed further and applied to our Bible school system. Many of them aren’t just helpful, but quite necessary. I would encourage each of our schools and countries to evaluate what technological tools would be most helpful and needed in their particular situation. Beyond this basic level of technology adherence, there is a deeper impact that technology is having on our educational systems around the world. Though this impact may be advancing at a faster pace in other parts of the world, I have no doubt that we will be impacted by these trends also in Latin America within our Bible school setting. Technology not only helps us do what we already do in more effective ways, but it subtly changes how we do what we do. This is probably the overlooked impact of technology but one that I believe will be at the center of many conversations in the future. Whereas it is clear to see the need for a web site or Facebook page due to its overwhelming presence around us, what’s not so clear to see is how technology is rapidly changing the role of the teacher as we know it. In the past, students received their education primarily from the classroom teacher or their textbook. 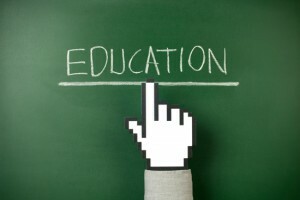 Prior to technological advancements such as the internet and social media services, students relied on these two sources for instruction and learning. Today, technology is causing the role of the teacher to shift from instructor to that of a facilitator. Students can now access information from multiple sources and aren’t as dependent upon the teacher or textbook for content as they once were. This change shouldn’t frighten us, but it should cause us to reflect on what it means for our Bible school education. Technology does not make the role of the teacher obsolete, it only requires us to reevaluate our role. Our expert knowledge, life experience and call of God on our lives can in no way be replaced by an online article or Google search. However, if we ignore the impact that technology is having on the educational process, I fear that much of what we do will be perceived as anachronistic, or worse, ineffective. We can isolate ourselves from the rest of the educational world and maintain the center of power around the individual teacher, or we can recognize the shift underway, in large part due to technology, and recalibrate our focus to a more student-oriented approach where the teacher is more of a mentor and facilitator. Finally, beyond all of the wonderful things that technology can do, it still comes down to the people behind the computer screens and technology that will always make the greatest impact in the lives of our students. Let’s commit ourselves to use this medium with all its dynamics to train future generations of pastors and leaders. NEXT POST Next post: What is our focus? Good article Stephen! It is a challenge to keep up and stay relevant to the new generations not only in the Bible school but for the pastors who are already in the work that we minister to in ISUM. We allmust keep learning and growing and using every tool available to teach and reach others for Christ. Look forward to seeing everyone at the ACLAME conference next month. Good topic for reflexion. The authentic role of the teacher has always been as a mentor or facilitator of the student’s learning experience independent of the technology available. It may be that recent advances in technology have clarified our understanding of this fundamental premise more than spearheading an actual shift in the role of the teacher. Clearly,as you have pointed out, technology can enhance the available tools a teacher has at his or her disposal in the task of being a learning facilitator.